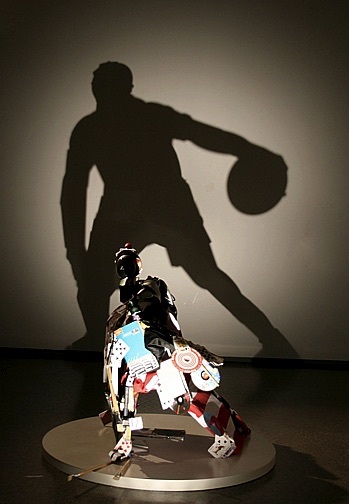 Michelle was commissioned by JJ Marshall Associates to create 8 shadow sculptures for a Reebok press launch in Barcelona. 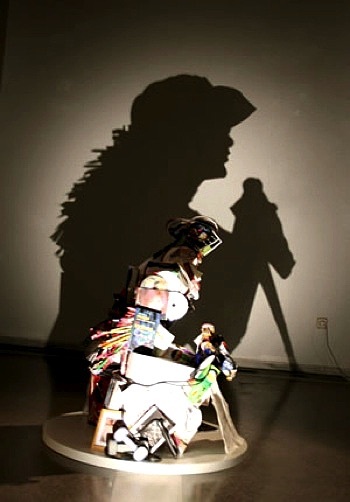 Each is based on a famous personality and is made from objects which relate to their personality and interests. 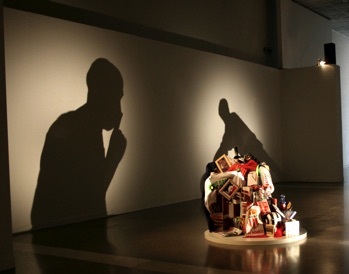 When a light is directed at the correct angle through the sculpture, a silhouette of that person is cast onto the wall.